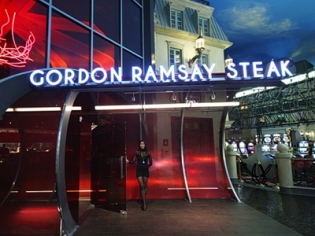 Celebrity Chef Gordon Ramsay brings his culinary artistry to the Paris hotel in his namesake restaurant Gordon Ramsay Steak. This modern steakhouse offers inventive and imaginative creations. The beef is prime aged beef done to perfection. 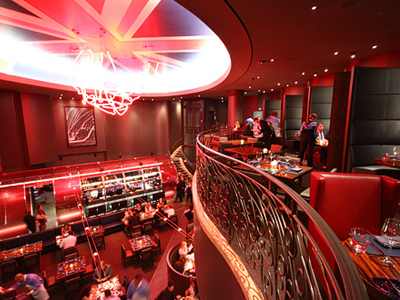 A large bar area offers items inspired by his British roots, such as shepherd’s pie and fish and chips. Enjoy personal dining at the chef’s table or have your event in the private dining room. 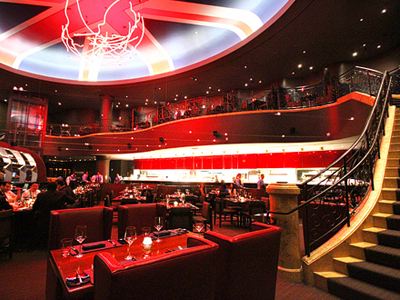 Try the Hell’s Kitchen Tasting menu for $155 per person; it includes five courses with optional $75 wine parings. Ramsay’s exclusive beef aging program makes this a must visit for the beef connoisseur. There is a prix fixe show menu from 4:30 – 6:30 for $95. Best meal I’ve ever had in a restaurant! Without a doubt, this has to be one of the finest meals in my 51 years! I had the Kobe rib eye and it was making my taste buds dance like never before. The birthday is coming up again and I am planning to be back at Steak in a few weeks! Service was top notch. The only bad thing to say was despite having reservations we were left for 1/2 hour before getting seated. It wont stop me from experiencing it again! The food is some of the best I have ever had. The experience was out of this world. The food was the best, but even better than the food was the service. There were at least 4 different people looking after us. My wife and I came here to enjoy dinner with our 27 year old son on his Birthday and they went all out to ensure our experience was something we never had ever before. Because of the way things were done here…we will be back! Forget that you are paying much more, the experience was worth it. The only negative would be that it was a bit loud. Five star all the way! Excellent service. The Kobe steak was out of this world. Don’t be shock at the prices, you’ll have to pay for 5 star but worth the money.